Can Marathon Petroleum shares keep your portfolio running? FBN’s Charles Payne, Stifel Nicolaus Portfolio Manager Chad Morganlander, Plimsoll Mark Capital Managing Director Jim Awad, A&G Capital CIO Hilary Kramer and Penn Financial Group founder Matt McCall on the outlook for Marathon Petroleum. Let’s talk about Marathon Petroleum Corporation (NYSE:MPC). These refineries are doing extraordinarily well. Execution has been phenomenal. It beat the Street in the last three quarters. Last time, they beat the Street by 100% -- with EPS of $2.86. Wall Street was looking for a $1.38. Fiscal year ‘16 earnings estimates continue to rise. 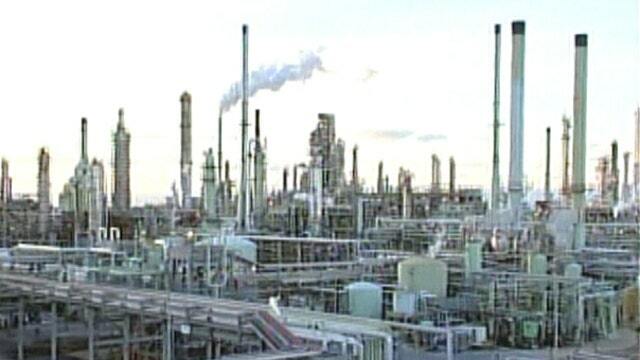 Main business: refineries, I love it -- it&apos;s doing phenomenal. That&apos;s almost a slam dunk. Pipeline business is so-so, it&apos;s not really important to the bottom line. In certain areas of the country, you know Speedway, you probably go get gas there. On the East Coast, you will know it too, because they took over Hess. They&apos;ll work those in over the next couple of years. This is what I like - in the 4th quarter, growth margin was 24 almost 25 cents a gallon. For the year, 17 cents. I mean, it is starting to explode to the upside. They return $2.7 billion in capital -- that&apos;s just from dividends. Another almost $9 billion in buybacks. I think everything is working well for these guys. The stock is up there. I&apos;m looking for a break out at $97 -- my target is $130.